The same team that brought you Stephen Hawking: A life in Science has decided to defend Albert Einstein against assorted revisionist treatments. Principal among Einstein's critics are those who say Einstein's first wife, Mileva Maric, is not given credit for her contributions to special relativity theory and that, in general, she had a rough time. (Their illegitimate daughter was placed for adoption and subsequently lost to history; Einstein's mother loathed Mileva for her peasant origins, etc.) Since the authors find nothing good to say about her, quoting sources describing her as unattractive, distrustful, and noting that she never did get her degree, they can hardly be credited with unbiased views. On the other hand, they are prepared to say that Einstein himself may have suffered schizophrenia--following a notion of psychiatrist Anthony Storr that seems off the wall. Be that as it may, they do manage to bring off a colorful description of the life for which the adjective peripatetic hardly suffices. Poor Maleva and the later-born sons followed along, making do and making Poppa as comfortable as possible. 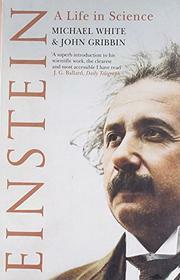 The chapters interleave the life with popular accounts of the major work, underscoring the papers produced in 1905, the "annus mirabilus," that launched Einstein's reputation. The paper on the photelectric effect earned Einstein the Nobel in 1922--proceeds of which he had agreed years before to give to Maleva after their divorce. In due course, we meet the physicists and astronomers who would later verify the accuracy of general relativity by measuring the bending of starlight near the sun during an eclipse. Following Einstein's rejection of quantum theory in the 1920's, the authors trace the personal eclipse of Einstein's creative career and ascent to the role of elder statesman and charming Princeton eccentric. Certainly some new and interesting details here, and accurate, acessible explanations of theory. But please, Einstein's life needs no apology!